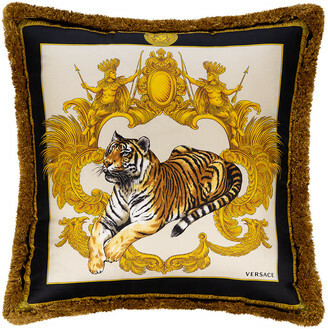 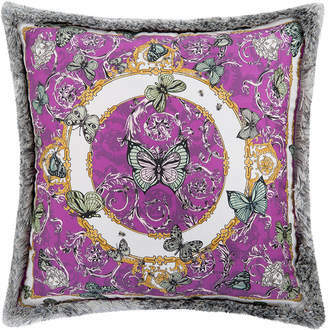 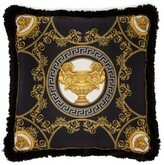 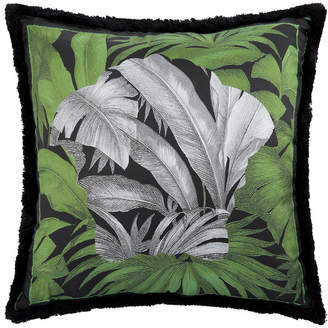 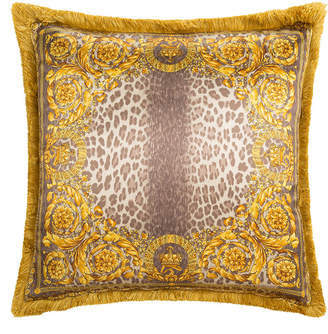 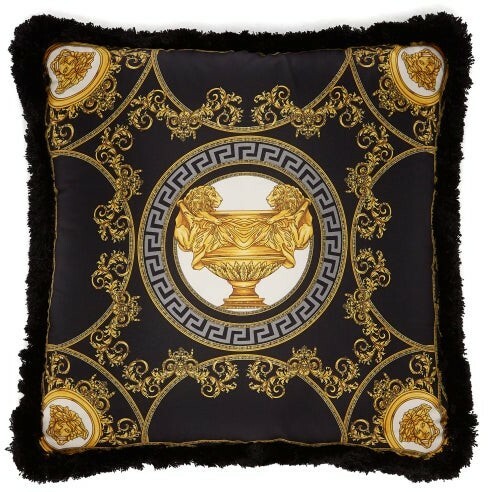 Versace - Versace's signature La Coupe Des Dieux print plays out in black, grey and yellow across the front and back of this silk cushion. 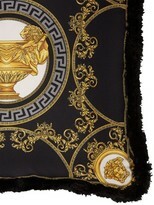 It's made in Italy, filled with cotton for a soft feel and finished with black fringed edges. 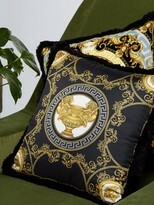 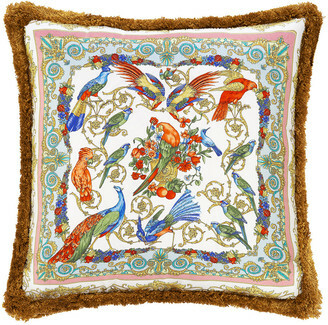 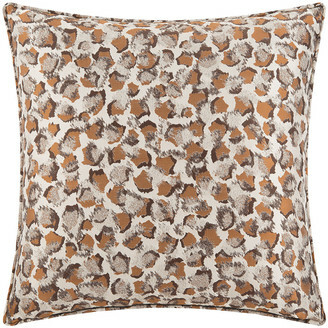 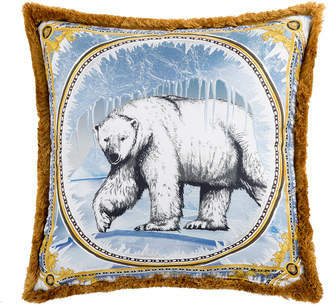 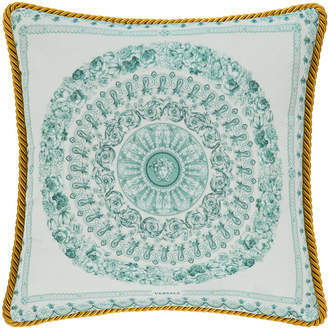 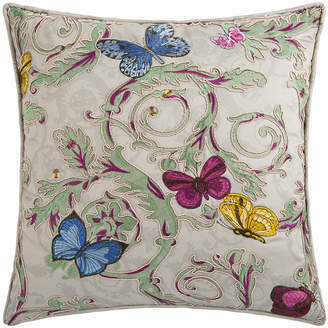 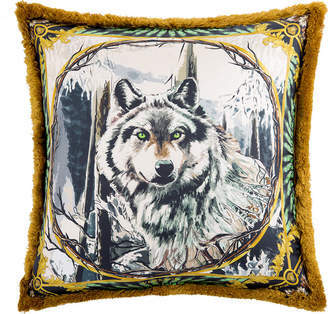 Position it with other styles in the collection to tap the house's more-is-more approach to home decor.